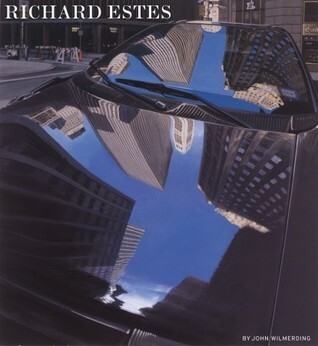 After enjoying a magnificent photorealism exhibit at my local art museum and reading Richard Estes’ Realism, I just can't get enough of the artist, so I dragged this big book home from the library. It was published in 2006 and covers fifty-five years Estes’ work through 2005. John Wilmerding does a nice job discussing Estes’ life, his career, his artistic influences, and the detailed processes of creating his art. By using a combination of photographs, the artist can then create an original piece that is so meticulously detailed, the delicate brushstrokes practically invisible, that it looks as precise as a photograph. Yet, if you look at the work closely, there is a sense of unreality about it that makes it unique. 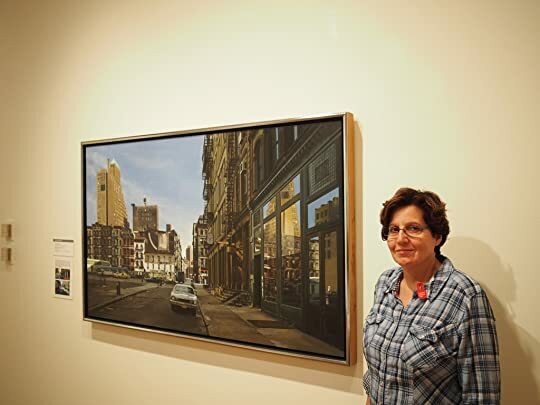 Among my favorite paintings are Estes’ richly detailed NYC street scenes that are so effective at evoking particular moments in the city’s history. I’m really glad this book devotes a large section to these works. The book has a few flaws, however. I wish the paintings had been better organized. I found myself flipping through the book numerous times to see what painting the text is referring to. There was also a lot of white space that could have fit larger versions of certain paintings. It’s a minor complaint, though. If you are interested in photorealism and the work of Richard Estes, this book is a perfect choice. Check this out! My local museum recently acquired Baby Doll Lounge for its permanent collection.